By the power of the One Ring, let your arm be steady and your aim be true! 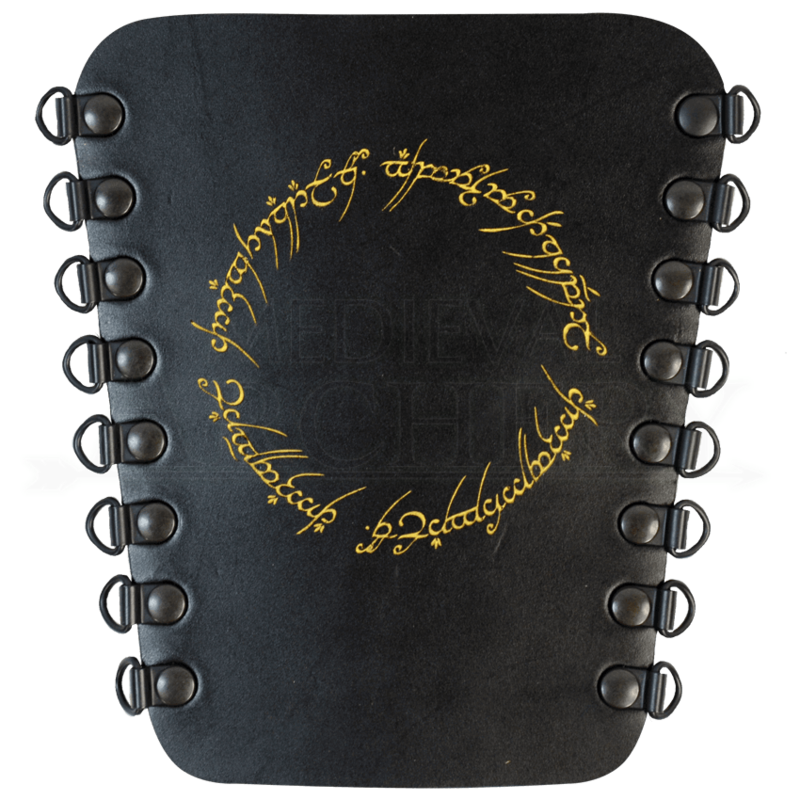 The Ring of Power Archers Arm Guard is a work inspired by the Lord of the Rings story, featuring the very same script that wraps around and within the One Ring. Written in Tengwar script in the Black Speech of Mordor, the design features the iconic words of the One Ring, which translate as the much-quoted phrase - One Ring to rule them all, One Ring to find them, One Ring to bring them all and in the darkness bind them. As a piece of armor, this leather vambrace protects the inner arm from the snap of the bowstring while shooting historical bows. The arm guard is sold individually and not as a pair, and it is hand-crafted from 7/8 oz. leather with speed-lacers on the side. 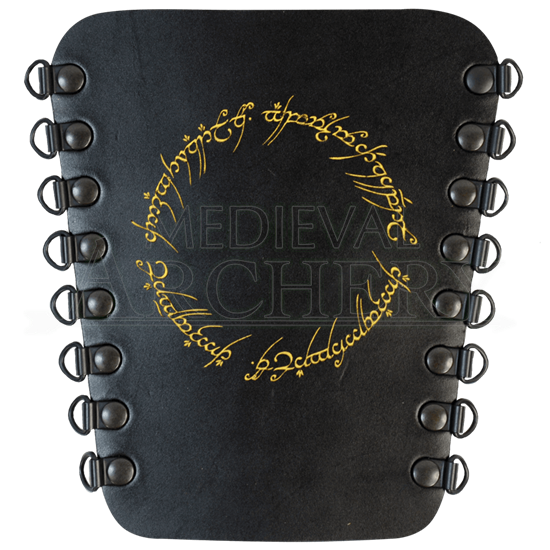 Effective and also stylish, this Ring of Power Archers Arm Guard is a functional archer accessory and a great touch of classic fantasy for any fan of Middle Earth to own and wear.